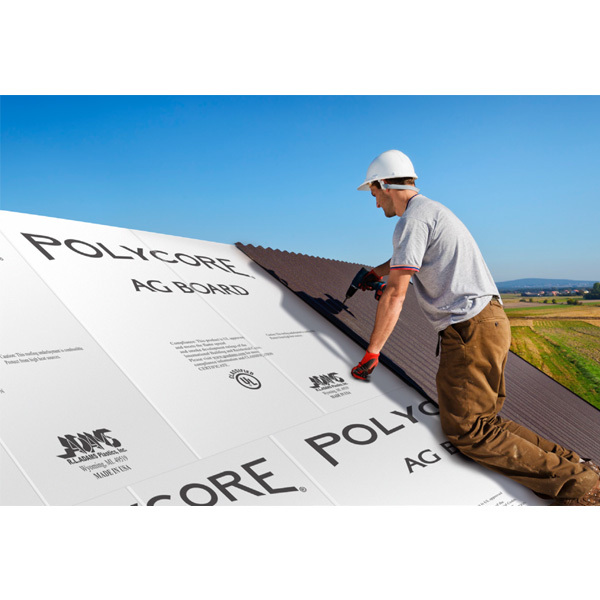 POLYCORE AG BOARD roofing underlayment is an extruded Polystyrene (XPS) foam insulation board fan-folded for easy installation on walls and roofs for post-frame and metal agriculture and utility buildings. The lightweight AG BOARD provides a waterproof surface that captures and channels moisture to the roof overhang areas for drainage. The durable white special blend film on both sides improves the building’s interior illumination, thus offering a benefit in structures designed for product and machinery storage, animal confinement, milk parlors, and other applications.